Searching for acoustic guitars on the internet. 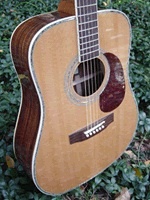 I came across the Zager Guitar website shortly after purchasing a Gibson J45. The reviews and photos online peaked my curiosity. 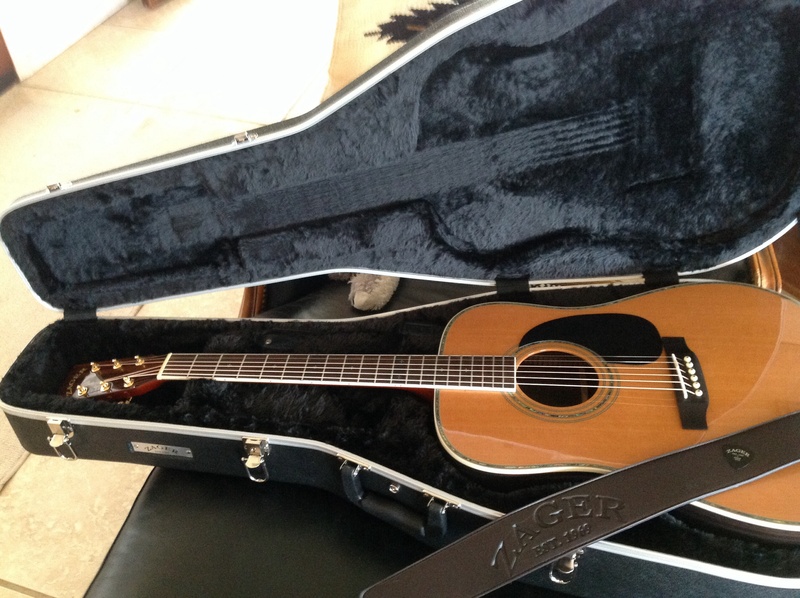 I was not 100% satisfied with the Gibson J45 and came across these beautiful looking Zager guitars with stellar reviews by everyone that had one. I saw that there are quite a few professionals using Zager guitars as well and that impressed me most so I decided to place an order. The reviews all looked too good to be true but due to Zager's 100% money-back guarantee I decided to take a chance. While I was waiting for my guitar to arrive I went to a few music stores and played several guitars. Martin, Taylor, Gibson, and other brands as well. Some of the guitars I played were in the $2200-$6000+ price range. Finally I got my Zager. It was packed perfectly and was in tune right out of the box. I was blown away by not only the sound but by the appearance as well. This is a well made, gorgeous looking guitar that sounds great and plays like a dream. Denny Zager has his craft down and does it right. Easily $4500-$5500. Just the looks and appearance alone compares to guitars that cost that much. The beautiful solid Spruce top with rosewood back and sides, the abalone inlay, the hand bent maple binding, mother of pearl, etc... Gorgeous. 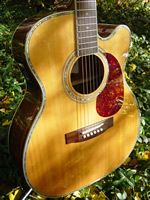 Searching for a small, high quality solid wood guitar, I came across YouTube videos and the Zagerguitar.com website. I was searching Ebay for a good used acoustic electric and I noticed an add for Zager easy play guitars. Curiosity got to me, so I checked out the web site, read the reviews,and started researching the Zager brand. I was doing some research in preperation to purchasing a new guitar and stumbled across a You Tube video by Rusty Shackleford showing the new Zager ZAD900CE that just came in the mail. I would have extimated $5000 or more. First of all from Friend that has one. I happened to stumble upon it when searching for a smaller suitable guitar for myself. I found the Zager website while surfing the internet for some other guitar information. 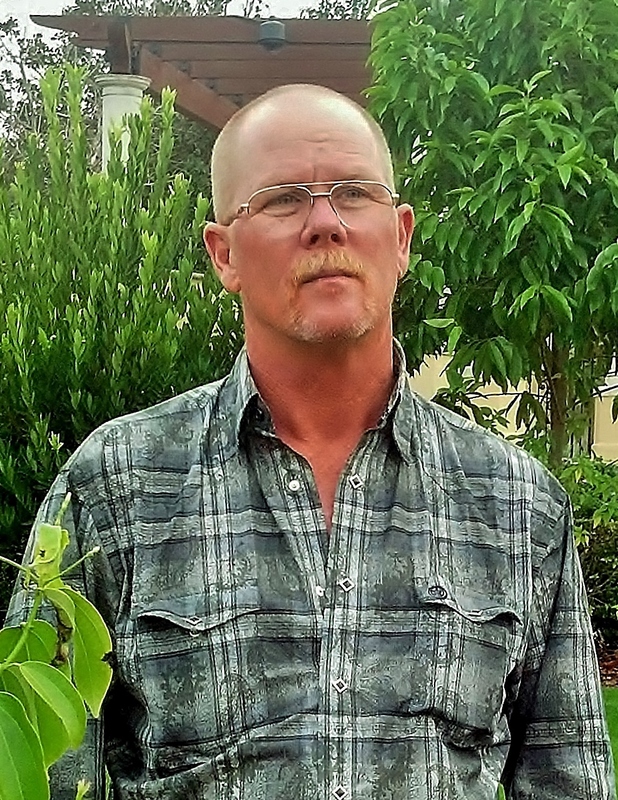 I was impressed by the quality and quantity of helpful information on their site, and after reading reviews about Zager guitars on other sites, decided to take a chance. This was the first time I ever bought any guitar without putting my hands on it first. If this guitar were sold retail in a brick and mortar outlet, it would likely be priced in the $750 - $900 range. That includes a professional-quality, padded, hard shell case. I came across an ad on the Internet. I was intrigued about their claim of an "easy play" guitar. I read a lot of reviews across the Internet in my search for a quality Acoustic-Electric guitar made either in the United States or Canada by craftsman. In my research, I came across Zager Guitars manufactured in Lincoln, Nebraska. 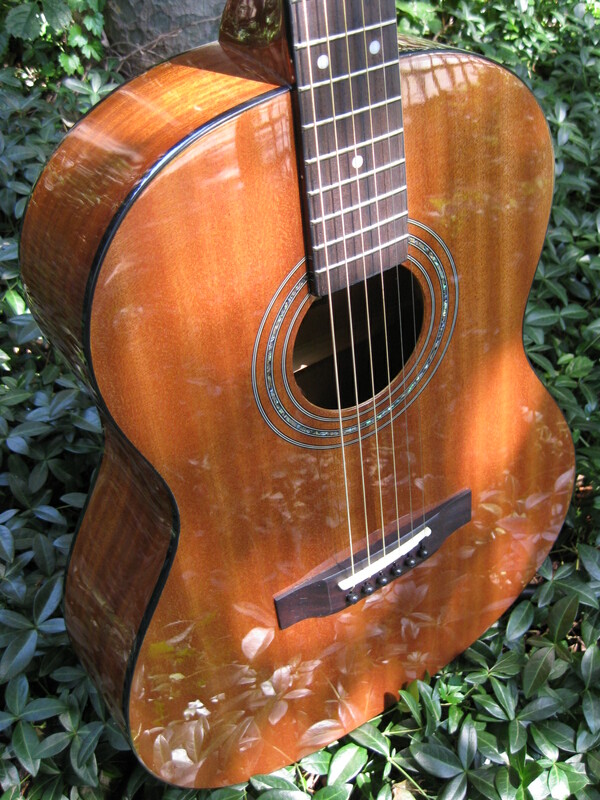 The positive reviews made by so many customers were a major influence in my purchase of a Zager Guitar. 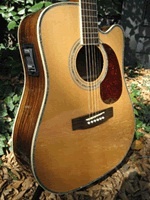 I came across Zager Guitar while researching guitars online. If I would have picked this guitar up in the music store and began playing - I would have guess the price tag be anywhere from $1,500-$2,000. It most definitely compares to Martin Acoustic Guitars without question! Returning to the website to see what you had to offer. I loved the mahogany guitar I bought before from you. I gave that one away. I bought an Z-80 and haven't looked back. I saw a commercial on Youtube. From a guitarist friend. He said there was a great affordable guitar from a company in Nebraska. He couldn't recall the name. I did a search and found your site. Then, another local guy I know bought a ZAD20Emhgny just like the one delivered to my door last week. Tried it and wanted one. This guitar surpasses any I've owned, a Washburn, an Epiphone, an Ovation. I've tried Martins and Gibsons in stores and prefer my new Zager to any of them. The quality jumps out at you. The playability. It is like wearing silk. So smooth and balanced and easy. It would have to be in the $1150-$1250 range based on my experiences. I have yet to have a problem, but based on my limited interaction, I would have to say it is 10 out of 10. Or better. Certainly the kind of customer support rarely seen any more. My first contact was an email with a couple questions before purchase. It was responded to personally by Denny Jr. within 5 minutes. There were several after that and the response time was just as quick. It is so refreshing to be treated in a way that makes one feel more than just another customer. If I have any problems with my guitar in the future, I have no doubts I'll be treated just as well. Absolutely. Already have. The guitar is beautiful for one thing. It has the look of quality and personal care. It feels great in your hands, and plays like nothing I've ever tried. Tone is balanced and lovely. I am thrilled. I was searching the web for guitar music tabs and saw the Zager advertisement. Never heard of Zager before and ignored it for a while, as I thought it was a con about being easier to play, less stress on your finger tips etc. I wanted to practice a lot but I couldn't, my fingertips gave out. Then after doing more challenging quick barre chord work and arpeggio playing I developed tendonitis in my fretting arm. Even after a break of playing the guitar and then later back to play again, the tendonitis came back. I thought this was the end of playing the guitar and so out of desperation I decided to make a chance on these Zagers. What could I lose, except my money or I get the guitar and find there would be no difference and therefore a waste of money. I was taking a chance being in Australia and buying it from a place in Lincoln, Nebraska, I thought what a risk. Well how wrong was I, after a 3 month wait, I received the guitar and this was the moment of truth. Is this all a con. Well absolutely not and I have to say I was emotional. The sound was fantastic, the neck works like the speed of a Ferrari, I could do rapid barre chord changes. I have to say you have to learn to not put so much pressure on the string, you have to relax and it still plays brilliantly and no buzz. I noticed it especially with my soft fingertips, as I had stopped playing the guitar for 3-4 months, before receiving the Zager. The best thing now is I can play a lot longer and after 5 months NO TENDONITIS ! My guitar tutor thought I was wasting my money until he played the guitar and he was really surprised how well it could play. He just couldn't believe I could get a custom guitar for the price and be so forgiving in playing notes with a great loud clear sound. He agreed with me that the guitar sounds like a piano, it was so full and clear. Chalk and cheese in comparison. When I developed tendonitis I was desperate, tried different strings and went to guitar stores to play different guitars including very expensive ones. It was after this search for the holy grail I decided to buy the Zager. Incredible sound. Since getting the Zager I have never had to use the amp. I used the amp on my other guitars to get a good sound but with the Zager it is loud enough and has a great piano sound. Fantastic, very quick response to my questions. I was a bit nervous around the 3rd month as I thought this guitar was not real and I would never get it. I felt assured by Dennis but in the back of my mind I still had some doubt. Well that is in the past I have my treasured Zager. Love the case, tee shirt, extra strings etc. Most certainly, anybody who cares to listen. The guitar is impressive in finish and appearance and I really don't think I will ever get the feeling I want another guitar. Before the Zager I was continually thinking of getting another guitar to get the holy grail sound or always changing my strings as I was hooked on the new sound they gave but they quickly dulled. I find I can have the strings last a lot longer on the Zager as you still get a great sound. I always look forward to playing the Zager. My guitar tutor is envious. Some people have said to me you will never be able to play other non Zager guitars well. I think who cares, I say why should playing a guitar be torture to play, sore fingers, short practice times, getting tendonitis etc. It should be enjoyable. It has been my best decision to buy the Zager, I wish I knew a lot earlier about these guitars. I found Zager guitars through surfing the internet after two failed attempts to find a decent 3/4 size guitar in the local chain. I heard the You-Tube demo and the Zager sounded like a real sweet guitar so I dived in to learn what I could about their 3/4 size and their company. The first 3/4 size guitar I bought was a Mitchell. It looked great, but was a little ukulele sounding. It was very inexpensive and the store's satisfaction policy is quite reasonable so I bought it and took it home. It seemed to get tinnier on the way home, and the first time I used a capo, the various strings went to differing degrees of sharp. It wouldn't hold its tuning, either! Back it went. Figuring you usually get what you pay, but not wanting to make a larger investment, I settled on what I now call a plastic faux-Martin. Sure, it was twice as much money, but it sounded pretty good, held its tuning and the capo produced even steps across the scale. It went back two days later when the back decided to leave the rest of the guitar! When I first tuned up and played the 3/4 Zager I'm sure I got a stupid, but well-pleased, smile across my face that I'm sure hasn't left yet (the smile that is. My wife will tell you the rest is permanent!). I also have a Yamaha FS730, and two Washburns. A WF27SCE dread that plays and sounds as good or better than those costing twice as much and a model WP27SNS parlor-size that really sounds just as good, but different and pleasant. I am thrilled to say that I now have the 3/4 size I wanted which is every bit as sweet as the guitars I have become used to. Believe me, I have been blessed to find such well-voiced guitars! The thing I like most about my Zager, of course, is playing it! It is a joy to play laid back in my recliner where I spend a lot of time because of my back. The dread size isn,t quite as easy to play reclined! and, it sure is handy to cart around! I am still amazed at the full, rich tone and volume this little guitar achieves. No more boxy-sounding, nor tinny, nor ukulele-like guitars being played here anymore! No more shiny, but cheap guitars. No more plastic guitars. Genuine tonewoods where they are supposed to be and quite attractive to boot! I Would expect a guitar of this quality and voice to be at least $700 a bargain. I haven't had to really use customer support for anything but a change in shipping instructions. I can say that all my contacts have been pleasant and you can tell there is a customer orientation to the folks a Zager. I would whole-heartedly recommend this guitar to anyone looking for a 3/4 size guitar for travel, or a child, to play in a recliner or just as a second or third guitar. It really sounds so good it can stand on its own if you just would like to have only one guitar, but life is short! My dad always told me that even a blind hog can find an acorn every now and again. It seems that I am beating the odds here between the Washburns I found and now my new Zager. What a well made and great sounding guitar. The demo on You-Tube is not a fluke or a special guitar made up for the occassion. Tis is the real deal! Really by pure luck just scrolling through the net websites trying to find a guitar I could play easier without the finger pain. There is no comparison with any other guitars I own or others I have tried in the past I currently own another 4 guitars and my new Zager Zad20e sunburst is by far the best , it is light to handle , it's is easier to play and nicely built and nice to look at bearing in mind I have only had my Zager a few days now and noticed the differences immediately . I think it has to be the playability , obviously because of it's design and the way it is built , but really all the parts are my favourite lysis just a perfect instrument. If we are talking US dollar I recon defiantly around the $1000 mark without a doubt. Customer support is excellent , great help and guidance throughout your purchase and ready available to answer any questions you may have . I would defiantly recommend this guitar to others just because of what you get for your money , the support and the chance to be able to play the guitar probably faster and easier than with any ordinary guitar, if it is your goal to play the guitar then this is your chance. I would like to add how happy I am with my new Zager Guitar , I used to always look out for a piece of memorabilia in a guitar ie a signed guitar or owned by some one famous , now I need look no further as I got it all in one package A New Guitar Not only Signed but also Built and Designed by Denny Zager himself a legendary guitarist performer , so now I have piece of memorabilia I can use and at a fraction of the price of any other signed instrument . I actually heard about Zeger guitars on Facebook. This guitar is so good,got to be the best guitar that I own now and I own Takamines,a Martin dreadnought D16, an Alverez and Ibanez and many smaller branded guitars.The sound looks and playability of the zad80ce is far better than these and in time should get better with the solid top. looks,sound,playability and build quality is very very good,remanisent of much more expensive guitars. As I live in the UK,I would say £1,500.00-£2.000.00. What can I say,your customer service is second to none,Dennis is great and very helpful,l think you you have set a new benchmark in customer support which everybody else should look to acheive. Absolutely! Would recommended to anybody for ease of playing, build quality looks,sound but most of all great value for money. Denny Zager builds great guitars that play,look and sound twice the price,world best customer service,can't thank these guys enough for making me a very happy guitar player,I will be buying from these guys again,what more can I say except Brilliant. Very lively sound for any guitar but when you consider that it is a parlor size it is really impressive. Sound and really is easier to play. I have played similar sized guitars that retailed for close to $2,000 that are not even close to the sound and playability of my new Zager. Best experience I ever hard buying somthing on line. Yes sound and it just feels so good to play. Play for hours and hours without even realizing how much time has passed. I read reviews before that didnt seem real about Zager guitars. After having mine a few days I understand why. They really are as good as they say. Any bad things you seem about these guitars have to be coming from someone with an agenda. My Zager parlor is my new favorite and yes I own several of the big name guitars. I browsed the available products on the Zager website. I currently own an apx700ii electro-acoustic and an apx1000mbl electro-acoustic. These guitars are the Yamaha slimline models with a body depth of 3 9/16 inches, I find the full depth body of dreadnought guitars too bulky and cumbersome. 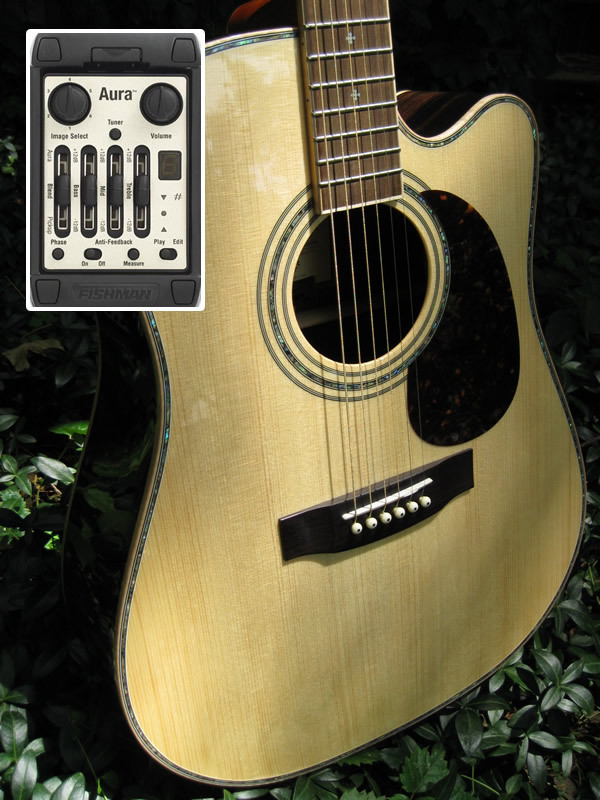 The ZAD20ceom has a similar body depth to my Yamahas (4 1/4 inches), so I find it very comfortable to play. The action on my Yamahas is lower than most guitar models and the string spacing is full size. This makes the Yamahas comfortable to play and reliable all the way down the neck. I have found the ZAD20ceom to be very similar in these respects and I feel right at home with this guitar. The main difference I have found is that the playability (ie ease of chord holding, tone and resonance) is noticeably superior on the ZAD20ceom. The overall feel and playability. Excellent. I have very seldom seen such a high level of professionalism, friendliness and courtesy. Yes. This guitar is expertly made and set up, Mr Zager is a true craftsman. I will recommend Zager Guitars unreservedly in the future. It's the best guitar I've ever owned. (This one is one of your discounted models) P.S. I own a 25th Anniversary Taylor 814ce and it's an awesome guitar. Of course it plays great but, I would have to say that the mid range tonality and the over all voicing impresses me the most. Haven't plugged it in yet. Can't wait to check out the Aura / Fishman pickup system. 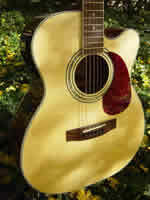 The Taylor that I compared it to cost me $3,500.00 New and I would choose the ZAD900 over it. Yes, because it's a great guitar at a great price. Watching Youtube videos of various artists I stumbled across a testimonial for Zager guitars. Best acoustic I've owned since I have never been willing to spend thousands of dollars on a Martin or Taylor. Now I have a quality guitar at a reasonable price. It's playability while maintaining a great sound. Conventional wisdom is to put heavy strings and raise the action to great great tone but only someone that has been playing for years can actually play such an instrument. The Zager guitar makes it possible for anyone to learn guitar on afine instrument. Excellent! Especially for an Internet Company. It's always better to do deal with a family owned business and not a corporation. I certainly will. The affordability of a quality instrument is hard to find. The photos of Denny playing my guitar is great. It makes me feel like he puts pride in every instrument with his name on it. This is not the case at some guitar factories that put guitars out the door as fast as they can. I used to set up guitars at a well known guitar factory. There are new techs coming and going all the time. It's just a job to them. They don't really love what they are doing. I stumbled upon it in an internet AD but I was very skeptical. I have already called several people about this ZAGER guitar because I want everyone to see and hear and play this instrument. They will be blown away. Even though I requested special options I thought the ZAGER guitar would be weeks away before I would have a chance to see and play it. However, Dennis jumped right on it and got it delivered in 4 days. Through my brother. He'd bought a ZAD80 and I was floored by its beauty and tone. I love it as much as my 25 year old Taylor 800 dreadnought (rosewood). Don't often go into music stores to check out guitars, but very few compare to its craftsmanship and beautiful voice. The two things I mentioned above, the craftsmanship and the tone. I would also add that its playability is a real plus for my arthritis. So great to sit for hours and play and not feel stiff and soreness afterward. The best. Denny is so professional and helpful .. and prompt! I do all the time. You can't beat its quality and affordability, and the customer service is a real feather in Denny's cap! I've had my Zager for 8 years now and am still loving it. I picked it up the other day after not playing for months and it still looks brand new. Such a pleasure to observe the detail, beautiful wood, inlays and finish. Denny obviously loves his work and puts something of himself into every instrument. as I explained I am new to the guitar.and old in life. I currently am playing a washburn acoustic electric. I recd my zager parlor guitar last evening and more than doubled my practice time. the very best I seen in a long time. very quick replies. yes. a great value and a great guitar. I have a problem with arthritis in my fingers, that limits practice timei I think this is a problem solver. thank you denny for a wonderful product. I was on line looking at reviews for a good high end guitar when I came across the Zager guitar site . I've owned many guitars in the last 20 years but this Zager 900CE guitar outperforms by far anyone of them I've ever owned or tried out in a music store. I recently was looking and tried out a Martin limited edition ,it's sound and playability was no match for my 900CE ,and it was twice the price. I was really glad I waited and purchased my Zager 900CE. I really must say the is playability is right up there ,this guitar is very lightweight and has a stunning look , it has a ringing sound of quality that fills the room. This Guitar the 900CE , with the quality woods and bindings and programmable aurora pick up would be easily be over $4500 in a music store . I was really content , every time I asked a question or had a concern about my order it was addressed with the highest regard and very prompt. Dennis and Whitney were very professional and you could tell product quality and client satisfaction is there main goal. Yes I would highly recommend this guitar to anyone looking for top quality guitar in playability / sound / looks /workmanship/ price and client support . Also this Guitar was equipped with the best programmable aurora pick up and the sound is second to none , This is not something you find anywhere . 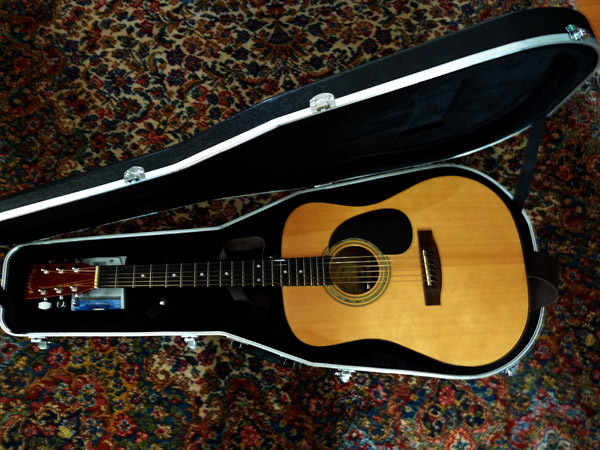 Just to add the guitar came in a beautiful molded case equipped with a built -in humidifier , a nice padded Zager guitar strap , spare strings ,a nice Zager Tee Shirt , guitar pick , picture Of Denny with my 900CE guitar and documentation . I heard of rumors that there was a guitar that was only available on line and that it was a great guitar so I googled it and found ZAGER. I love this guitar. When compared to my old guitar: first, its easier to play. Its amazing how much easier it is to operate. No painful fingers and its easy to hit tuff cords. Second, it sounds so clean, clear, and deep. I just played a 54 Gibson full box acoustic and I say this 80 is just as nice and easier to play. I have played Martins and Taylors and this thing is better for both sound and playability. 5 stars, you guys always take care of the customer. I am very impressed!! Yes. Quality of the guitar and customer service so you know if something happens you will not be abandoned. Its nice to give my business to a company that thinks like I do, that is: treat people how you want to be treated. You tube. Random guitar lesson search brought up a eplay site and wa la! Have always wanted an easier to play acoustic but none in my price point or good value for the purpose of just playing at home in the evening but get a really nice sound w perfect tone and ease of play. This guitar has all that. Above and exceeding my expectation. Dennis emailed me before the shipment and made me aware of a very minor blemish in the body/ finish. Offered a very far set of options and resolved a potential issue before it was an issue. Outstanding customer service!! You even upgraded the case at no extra charge. Absolutely... Great price for a guitar that is perfect for a player like me. I like the ease of play, sounds great, stays in tune, built in tuner is awesome and looks fantastic!! I heard about Zager guitars about a year ago, and was monitoring the site for the right guitar for me, and found the zad20ceom to be a perfect fit. I can not compare it to more expensive guitars as I have never played them, but it is miles above my current guitar, Epiphone by Gibson. The sound is smooth and rich. 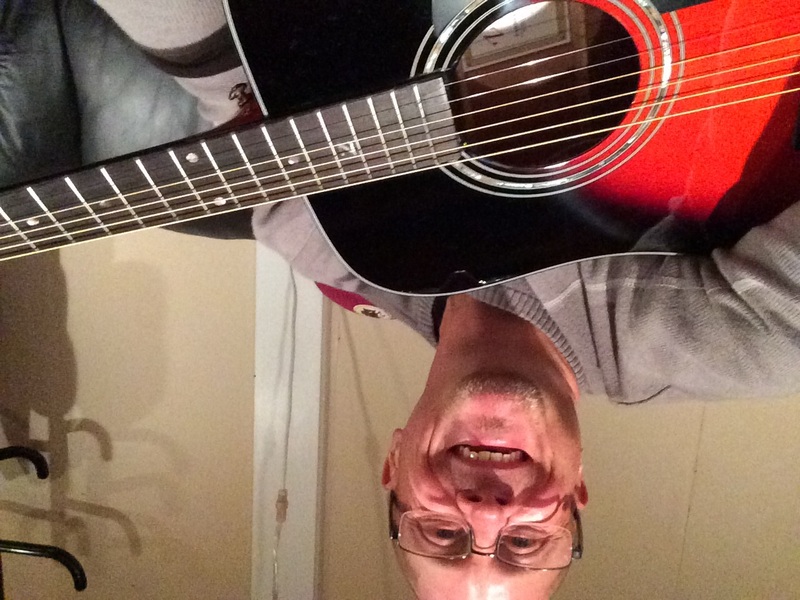 I also love that it is easier to play, and certain chords that I struggled with are easier now with my Zager guitar. Dennis is outstanding and their customer support is A++ in my book. I would not only recommend this guitar, but recommend Zager guitars and am positive you will find the perfect guitar for you. Thank you so much Denny and Dennis for your guitar, I love playing it! I can play for more time now than before. I love my Zager guitar and look forward to playing it every day. Thank you again! I tried Martin's, Taylor, Gibson, Alvarez, Breedlove etc and althought they are solid instruments and sound good, Zager guitar sound was more richer and fuller without that muted sound as the others. A big factor was the playability on the neck and frets which led to a flowing of notes from the guitar. The entire guitar is my favorite part. I would say the setup and playability of the Zager guitar. Dennis was GREAT ! He attention to detail and vey prompt replies back to me me were of 1st rate CUSTOMER service. Yes I would recommend this to everyone whether you a new acoustic player or experienced guitar player. My Grandson read about it on the internet. I'll know more after I play it for a while. I play a HD28 Martin, Alvarez Yari JY10, and a Carvin Acoust\elec. All these are really great guitars. My Martin is my main guitar because of it tone and playability even tho they all play great. My first impression of the Zager is good, but I'll know more after I play it for a few sessions. Plays good, and is true all the way up the neck. Action is a little higher than I like but that can be adjusted. I'd say in the two to three thousand dollar range. Haven't needed any, but I've heard nothing but good things. Yes. First impression for me is it's a good guitar. I like quality instruments. I own and play a Mullen Steel Guitar, A Zum Steel that Bruce builds, and I also have a Carter BCT Steel. This Zager guitar if it gets better with time will be one I will keep for many years to come. After researching guitars online for several months. This is a fantastic instrument. I put it through its paces for several hours over the last 2 days. Also, had a few friends try it out. 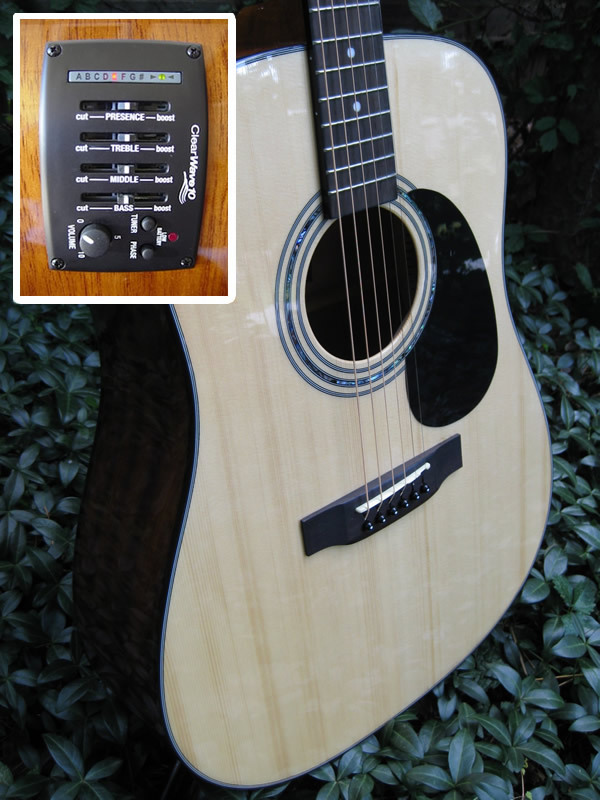 The sound is bright with a warmth and depth that was surprising for a guitar in this price range. We compared it to a Martin D-16, a Taylor 201 and an old Gibson hummingbird. The sound was a lot like the Martin only a little richer. As far as playability...nothing compared. If you are looking for a really nice instrument without the really high price, I doubt you could do any better. What's not to like. Absolutely beautiful, plays like a dream and sounds great! No bull,my Martin set me back over a grand 10 years ago. This guitar feels, plays, looks and sounds like a $1200 guitar. So far a 10 out of 10. Fast responses to questions, all kinds of extras thrown in and 30 day money back guarantee. It doesn't get any better than that. Already have a couple of friends drooling over it. Highly recommended! If you want a guitar that plays great, sounds good and looks fantastic YET still leaves you enough coin to buy a decent electric, thus is your guitar. If you like to overpay and end up with something not quite as playable...go get one the high ticket brand names. 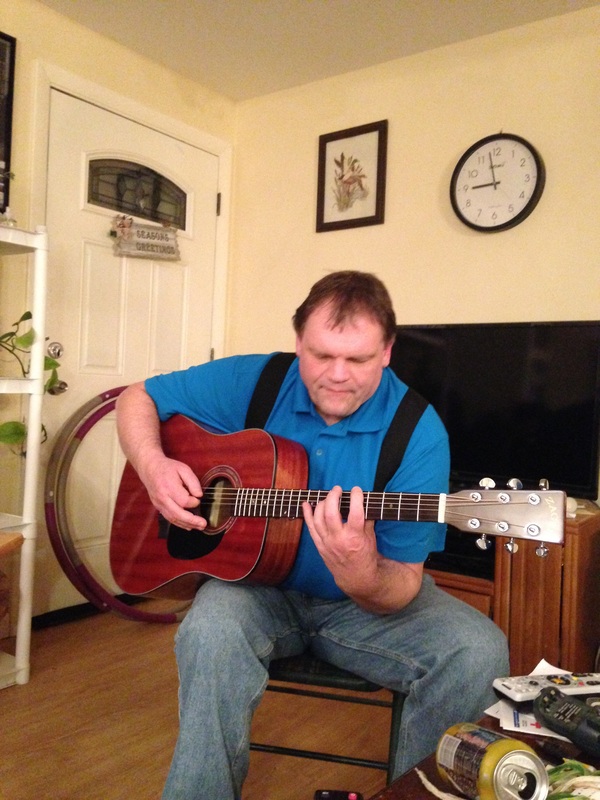 I have owned and played guitars for over 40 years! I know a great guitar when I play it. THIS is a GREAT guitar! Save some serious coin and pick one up. You will NOT be disappointed! my neighbor and band mate Jan Morris got one for her birthday in July. She let me play it, and I knew immediately I had to have one. It looks and plays a lot like my old Taylor cutaway except the tone is brighter and it's easier to play. Probably playability. It plays as easily on the twelfth fret as the first. It looks good, sounds good, and plays great. At least twice what I paid for it. It's the perfect fit for the way I play. I am delighted. Probably its playability. It plays as easily on the twelfth fret as the first. It sounds great unplugged or amplified. Its tone is superb and it's an ideal fit for the way I play. Oh yes. It's a beautiful instrument that plays beautifully. It arrived on my doorstep Thursday morning, Oct. 9. 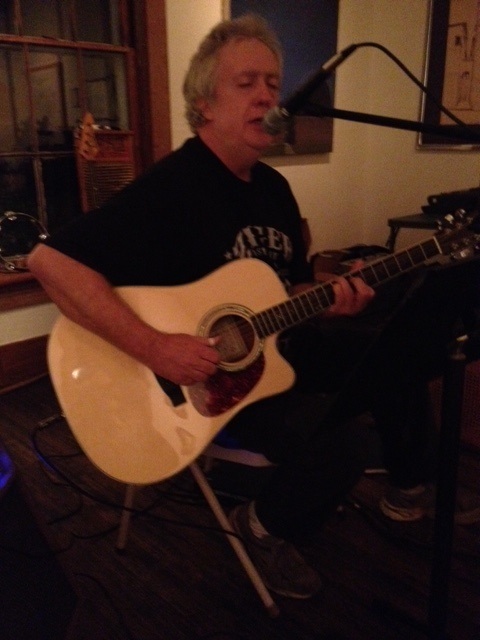 I gave it a one-hour front porch workout in the afternoon and I plugged it in and played with friends Thursday night. The guitar feels good, sounds good, and looks good. 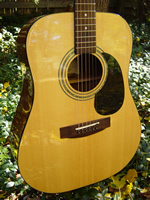 I've owned an entry level Yamaha, which I sold and bought an entry level Martin (about $600 in 2003). The ZAD20 is by far the easiest to play. Do I have to choose just one? Ease of playing, well balanced sound, sealed smooth operating tuners,quality workmanship,the scaling of the frets is very accurate. I've handed it to fellow guitar players and they thought it would sell in the $800 to $1000 range. I bought mine in 2004 for $399 (plus $100 for the case, well worth it! You call them they support you. That's how I was able to retire. :) Seriously though, very prompt. I recently needed to add a strap button on the neck. I sent them an email asking what they recommended and they sent me one and a new set of strings free of charge! Absolutely! When I bought this guitar, I did so because of the EZ-play feature. My old Yamaha wasn't easy to play. The entry level Martin was better, but not as good as the Zager. When you're learning you don't want an instrument that makes learning more difficult. With the Zager I've found the guitar is NOT my limiting factor, and as I progress, I find I appreciate this instrument more and more. It's one of those rare items you buy that you're pleased with every time you use it! As I review this, my ZAD20 has passed it's 10th birthday. I played it a little when I first got it, but when I retired 3 years ago, I started playing it about 1.5-2 hours a day. It's a great guitar. Pretty much the only thing I need to do with it is adjust the neck when heating season starts and ends (wrench included) change the strings, tune it and play! It has held up wonderfully! The tuners are silky smooth and have never slipped. The action is amazing as is the sound. The ONLY thing I sometimes wish I had was one of the cutaway models like the ZAD20CE to ease getting to the frets past 12. The string to fretboard distance at the nut end of the neck is about 3mm. At the bridge end about 4.5mm. This is on a 10 year old guitar! (I think it sounds mellower now than when it was new too!) Also the in home try out can't be beat! Pure pleasure to deal with.. Guitar feels nice and comfortable to play. I love the action of this guitar. It bars almost like a full electric. And the woodwork is beautiful. 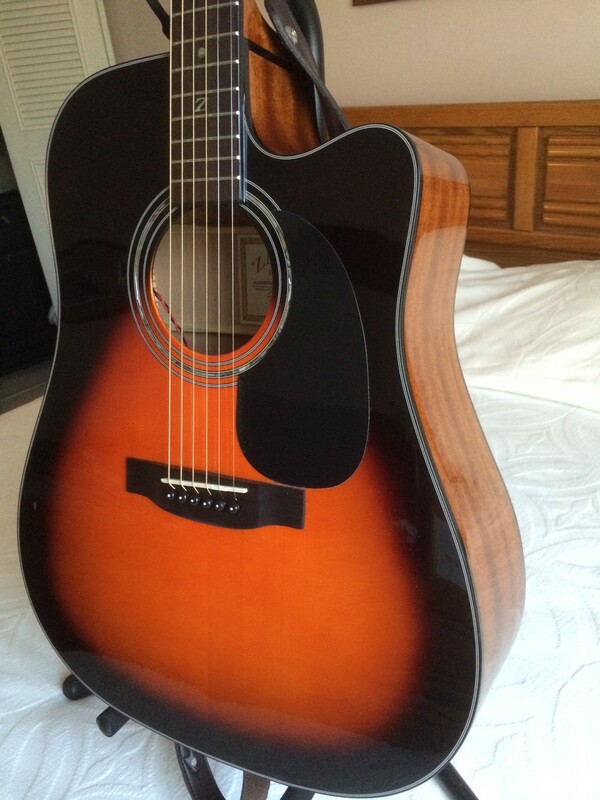 This is also my first acoustic-electric. So far, the Zager folks have been wonderful and incredibly responsive, even to simple questions. Nothing seems too trivial for them. I certainly would. Play-ability, beauty and quality of workmanship and materials. For an ageing guitarist of 62, the ease of action is a real plus. Come on you Boomer players! I was looking for a guitar and shopping brick and mortar stores plus Internet when I saw an ad for zager guitars on YouTube. I was looking and playing guitars like gibson, Taylor and martin. I knew what I wanted but was disappointed by the playability of the instruments I found. They played about like the cheaper type I already owned. I saw the ad and began to investigate because I was skeptical about the hype. I did not believe any of it. I even went so far as to contact the better business Bureau to find out about zager complaints. I was surprised by the research in that I could find few negative points. I decided to take a chance, after all it had a money back guarantee. This guitar can be described in one word. Awsome. Better than any guitar I played in the stores. Better than $2000 and $3000 dollar guitars I was playing in the stores. These were the back room stock, not the rack guitars out front. The finish on this guitar was beautiful. The action and playability out of the box was astounding. The upgrade case was an unexpected benefit. I was fully prepared to send this guitar back if not satisfied and rush out to purchase a 2 to 3 thousand dollar guitar. I am fully satisfied and love my zager. It is a beautiful instrument and worth more to me than my investment. The support by the zager staff has been amazing. Dennis answered all my questions and I know there were many. They responded without high pressure and walked me thru the process and delivered more than was promised. The staff of zager is first rate. Not only would I recommend zager I am already planning another purchase of one of their superior instruments. My brother in law. And further research corroborated his testimony. Without a doubt. There would be no disappointment. It really has a "wow" factor in so many areas. I would have written a positive review sooner, but I honestly can't put the guitar down long enough to write. I saw a feed on Facebook and investigated thoroughly , I read some reviews and listed to the videos and chose to take a chance on it. 30 day money back guarantee. what did i have to lose? This is the nicest guitar that i have ever owned nice deep tones as well as a very even overall sound. this guitar was set up well, the intonation is real nice in playing all over the neck. The only guitars that i've played in stores that are this nice have ugly price that are not. the overall setup makes it an easier guitar to play, subtle changes in design make a big overall difference. well thought out design. customer support has always been quick to answer questions and a pleasure to deal with. yes definitely for the beginner, too many start with a cheap guitar that is bad for the ears, and for the hands. No comparison. The Zager is by far and away in a class it's own far above the rest. This guitar competes with guitars 4 times pricier. Excellent. They go the extra mile. Yes. The sound is beyond compare. The playability is awesome. The guitar is beautiful and well crafted in every way. Quality. It's the best acoustic I 've ever played. I think the sound balance between strings both unplugged and amplified. I would think between 2 and 3 thousand dollars. Great people, very helpful, and friendly. I would highly recomend this guitar because it's the real deal. Even the guitar case is top rate.